When it comes to vaccinations, Big Pharma and government health agencies have no qualms about guilt-tripping people into agreeing to something that many of them might otherwise not accept. Bombarded with terms like "herd immunity" and "community immunity," those of us who have serious questions about the safety of vaccines can become convinced that not allowing vaccinations for ourselves or our children is detrimental to the entire community and therefore just plain selfish. However, is this a message based on sound science and spread for the greater good of all, or is it nothing more than propaganda designed to protect Big Pharma's BIG profits? The theory of "herd immunity"
As explained by Natural Health 365, the concept of herd immunity is based on the theory that if at least 95 percent of all the people in any given community are vaccinated against a certain disease then all will be protected, even if the remaining 5 percent somehow slip through the cracks. This might sound logical and sensible, but the facts don't back this theory up for the simple reason that nowhere near 95 percent of adult Americans are vaccinated. Many adults in the United States have not received recommended vaccinations and racial/ethnic vaccination differences persist. Influenza vaccination, adults over the age of 19: Between 37.2 and 44.8 percent. Pneumococcal vaccination, adults between 19 and 64 years at increased risk: Between 18.5 and 24.0 percent. Pneumococcal vaccination, adults over the age of 65: Between 59.8 and 66.9 percent. Tdap vaccination, adults between 19 and 64: 8.2 to 28.0 percent. 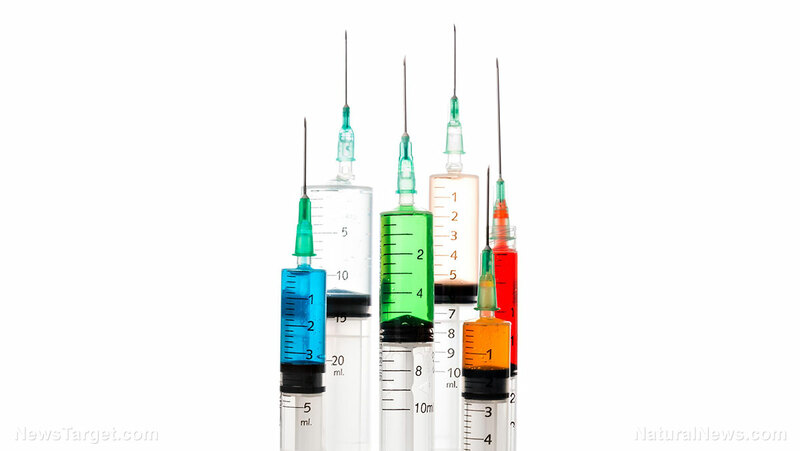 Tdap vaccination, adults over 65: 8.0 to 20.4 percent. Hepatitis A vaccination, all adults over the age of 19: Between 8.1 and 9.5 percent. Hepatitis B vaccination, adults older than 19: 24.5 to 27.1. Herpes zoster vaccination, adults over 60: From 14.4 to 33.4 percent. HPV vaccination, females 19 to 26 years old: 20.7 to 48.5 percent. HPV vaccination, males aged 19 to 26: 2.1 to 13.5 percent. During the 2009-10 through the 2015-16 influenza seasons, less than half of adults over the age of 19 were vaccinated. What's the real driving force behind vaccination? So, if 95 percent of people aren't getting vaccinated and yet we aren't seeing outbreaks of these diseases, we know there has to be another reason that government agencies and pharmaceutical companies keep insisting they're necessary. That reason is simple: money. According to the Global Research Centre for Research on Globalization, Technavio, one of the world's leading technology research and advisory companies, has predicted that Big Pharma vaccine producers will pocket over $61 billion in profits by 2020. Back in 2016, they were already raking in $24 billion in profits from these products. What we have with vaccines is the highest profit margin pharmaceutical drug on the market. Drug companies make more money off vaccines than they do any other pharmaceutical drug, in terms of profit margin. There is a lack of rigorous safety studies. And they don't have the incentive to do them because they have no liability. Still think it's a good idea to protect "community immunity" through vaccination?